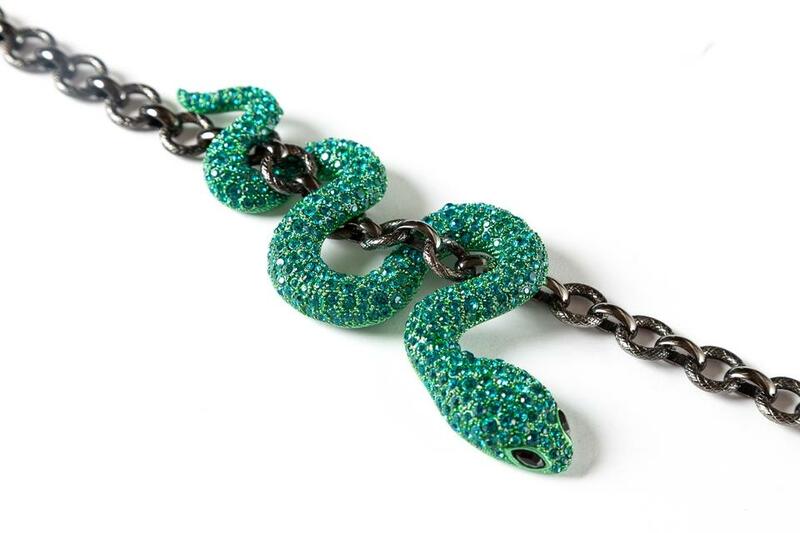 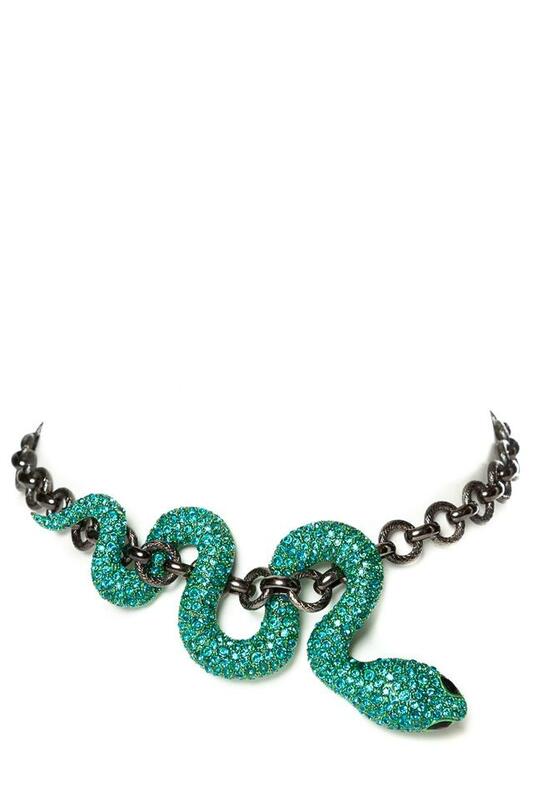 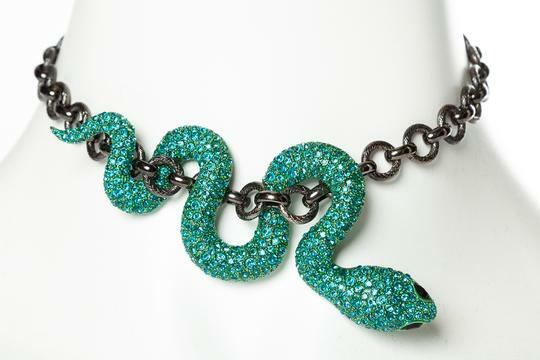 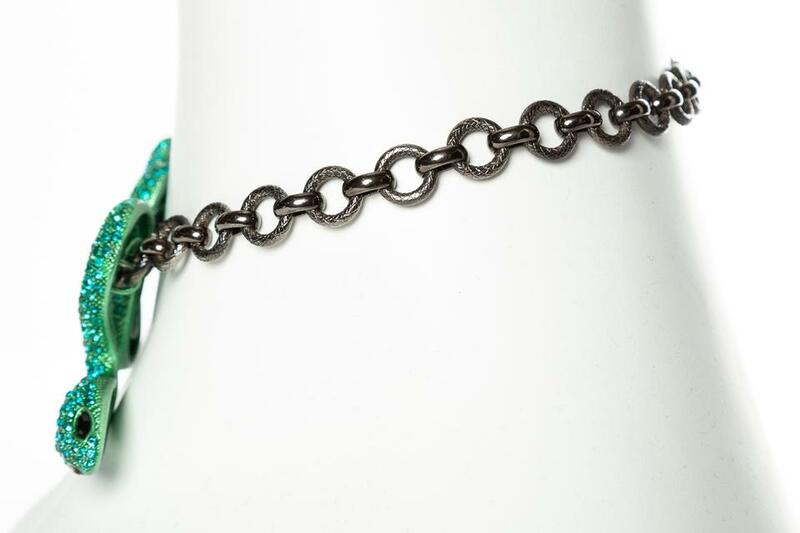 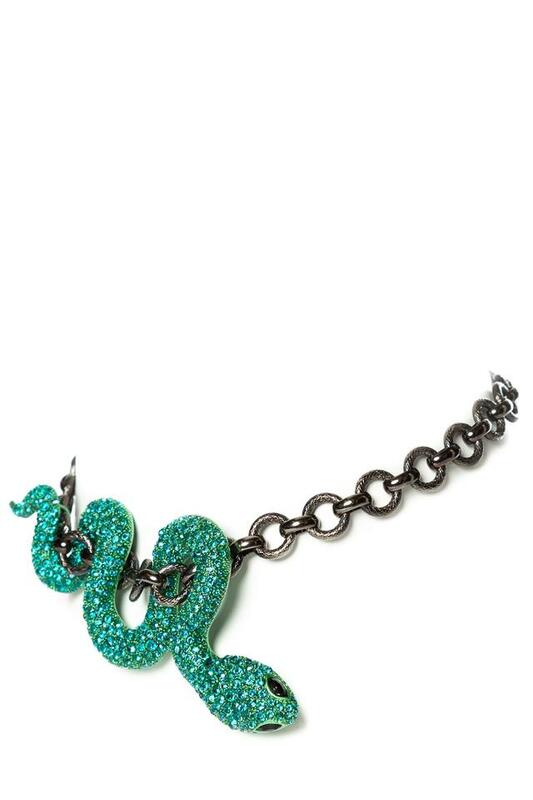 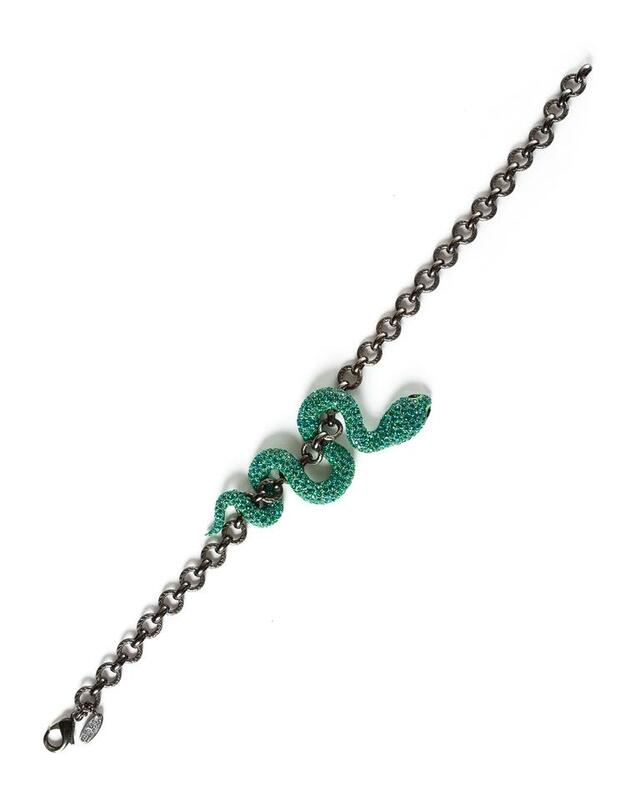 Roberto Cavalli gunmetal-tone textured chain-link necklace featuring green crystal embellished snake and lobster clasp closure. 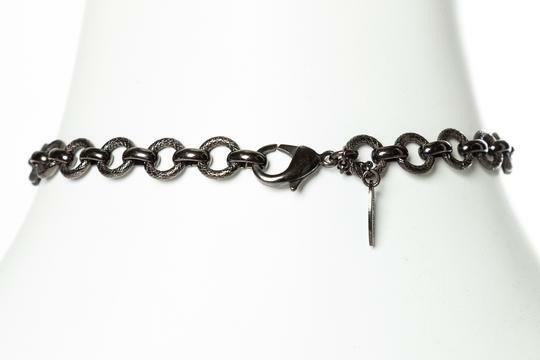 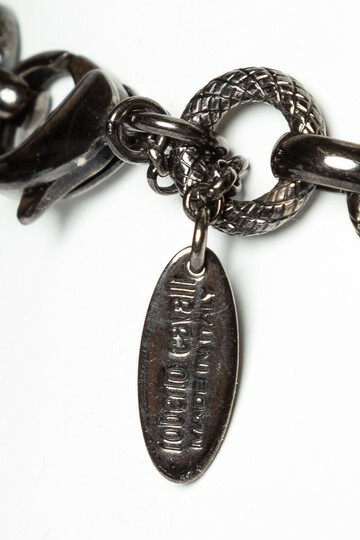 This item is previously worn and contains some signs of wear including minor scuffing. 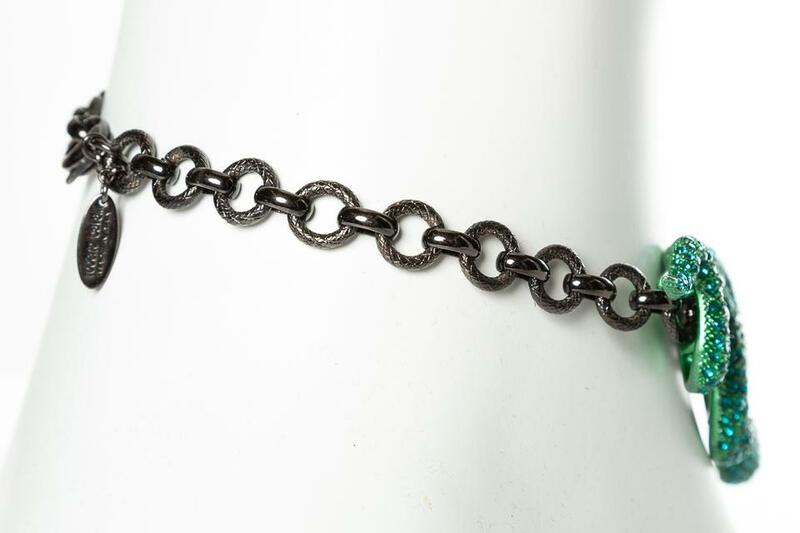 Good previously used condition consistent with light gentle use.